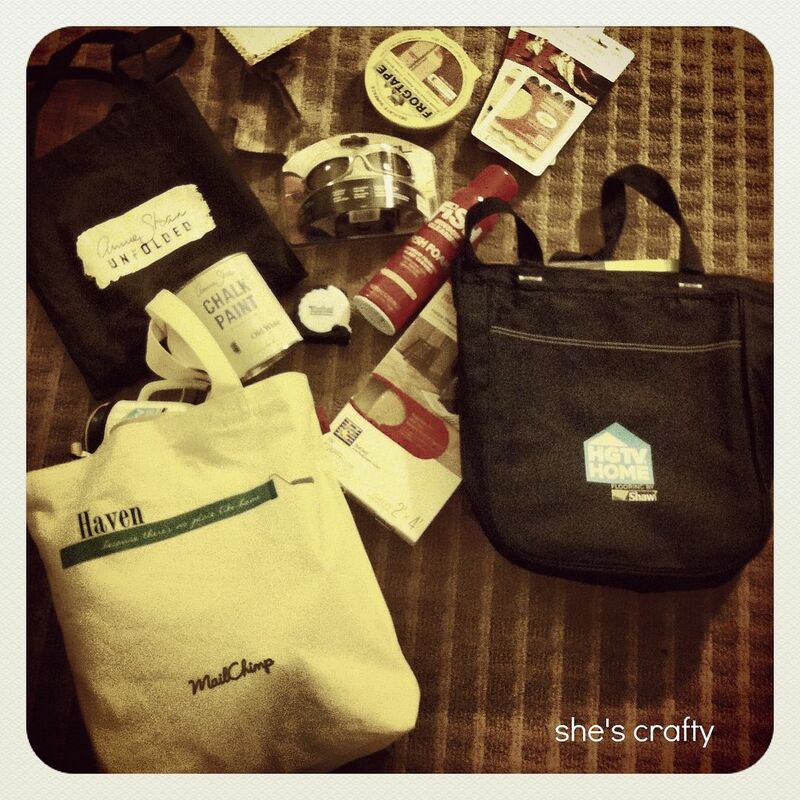 I went to Haven, a Blogging and Home DIY conference last weekend. It was such a mind blowing experience I'm not even sure where to start with my recap. I guess I'll just start at the beginning. On Wednesday, I drove down to Atlanta, all by myself -it was heaven to listen to the music I wanted to hear and not have to mediate any kid-fighting. I got all checked in to my room, then went in search of the Haven activities. 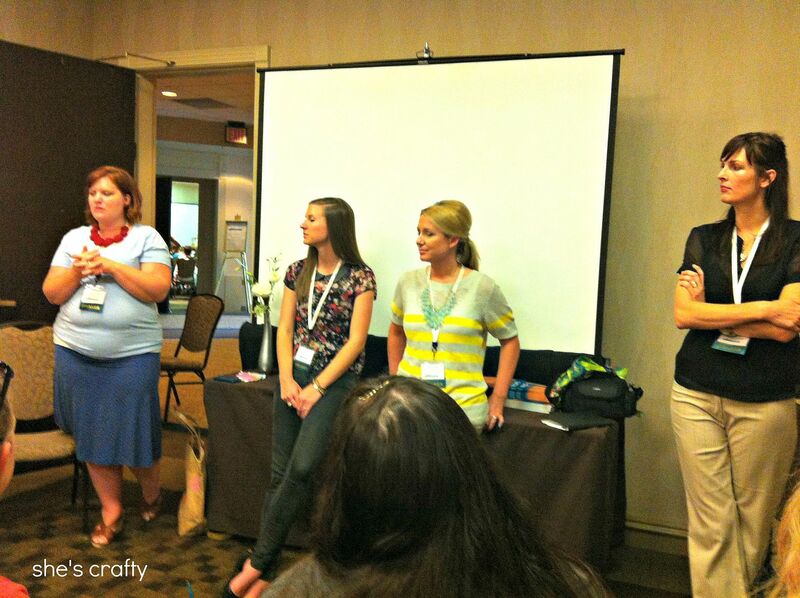 I walked into the registration room and was completely star struck to see: Beth, Chris, Sarah and Kristi. 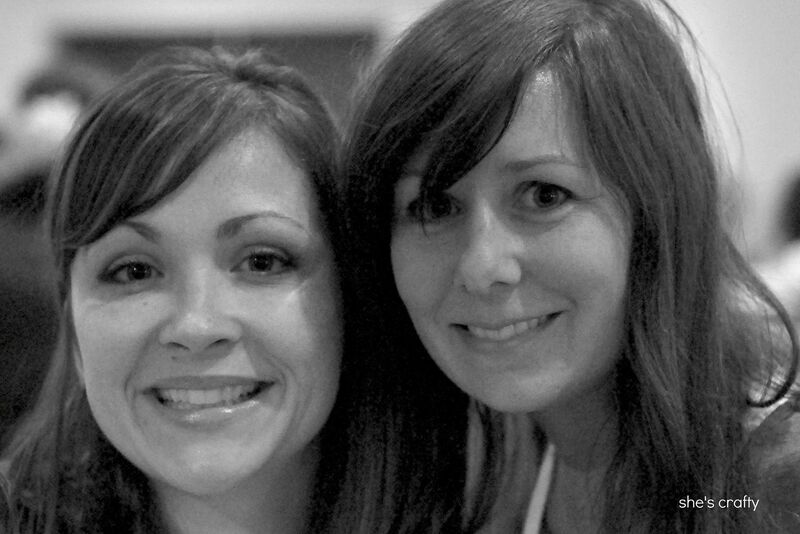 (I apologize to Beth and Kristi for this photo of them with their eyes closed. It was the only one I took because my heart was pounding so hard and my picture taking finger was shaking.) I also saw Rhoda and Tracy too, but somehow missed taking their picture. Later that night was a meet and greet. And look who I met... THE NESTER!! Holy cow! I was so excited. She was super sweet and kind. She even complimented me on my business cards. Awww!! I got to meet Jon and Sherry from Young House Love too. Also pictured is my new friend Jamie from C.R.A.F.T. The next day we were up bright and early to hear a welcome from our Haven hosts. Followed by the key note address by John and Sherry. They were so funny. 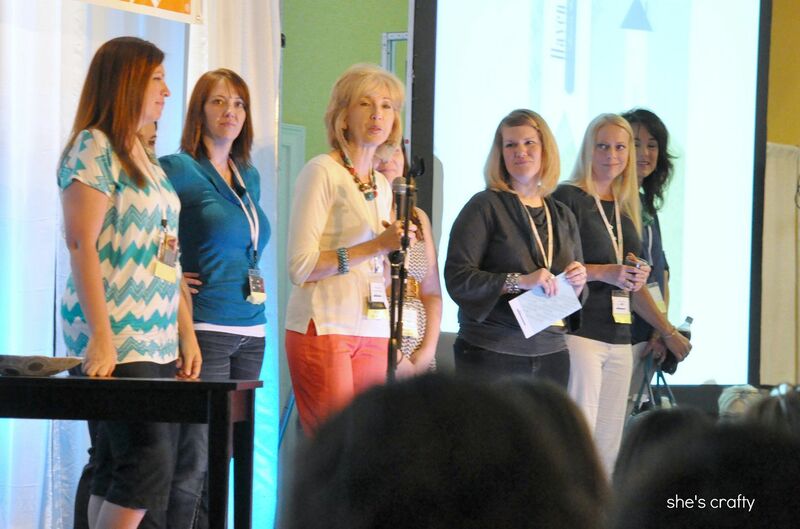 I don't know how they weren't nervous to get up there and speak to over 260 women, but they were as cool as could be. They told funny stories and were so humble as they related their experiences of home DIY and blogging. It was delightful to hear them speak in real life!! Then we went to our classes. 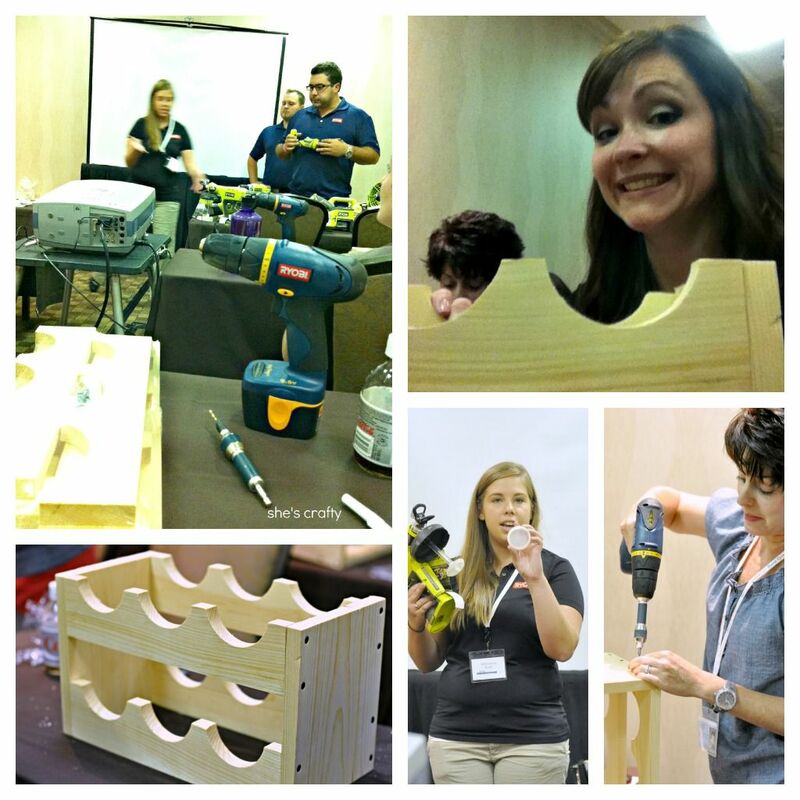 One of my favorite sessions was a carpentry class taught by the amazing Ana White. 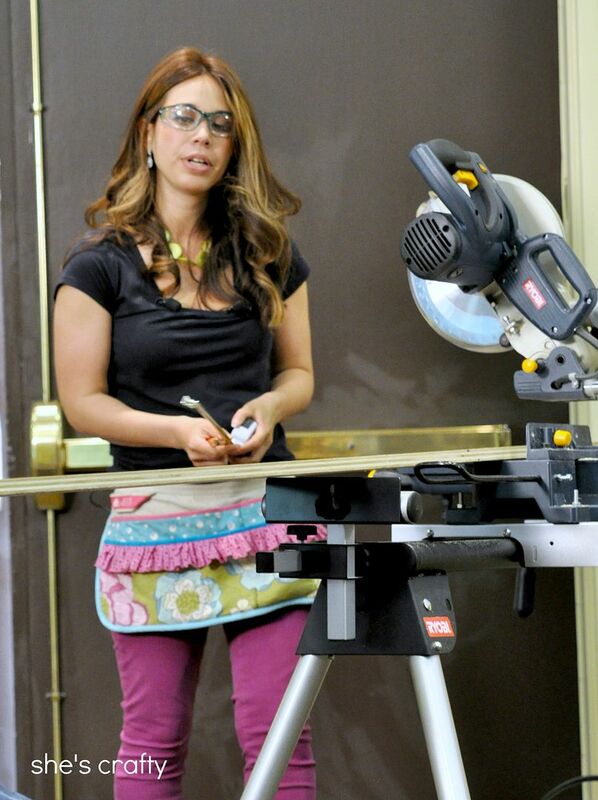 She totally rocked high heels while she was using power tools. I don't even look that good for church let alone when I'm building stuff. 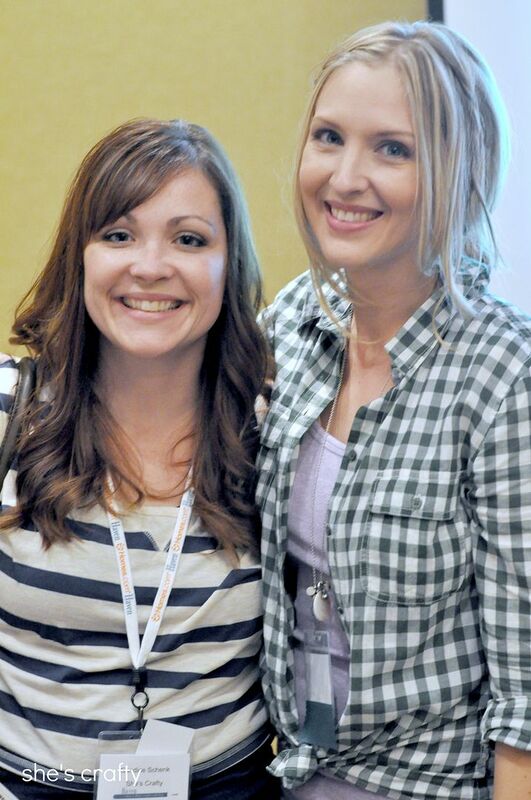 She was so sweet and completely inspirational, not to mention gorgeous!!! I came away from her class convinced I can build anything. I took a photography class from Kevin and Layla from The Lettered Cottage and Josh from Shoot Fly Shoot. The class really opened my eyes to how to take better pictures. And Layla's photo styling tips were amazing. I fully expect to be posting better quality photos...hopefully!! The next day I took a power tool class from Ryobi. They gave us a demonstration of some of their tools. I wanted them all, especially the miter saw and the paint sprayer. Using some of their tools, we were able to make a wine rack. I'm not sure what I'll do with the wine rack since I don't drink wine. Maybe it will be a towel holder or something. Also in the photo is my new friend Chrissi from Hoot Design. I went to a Marketing/PR class taught by Tauni and 3 other professional PR girls- Rachael, Ashley and Amy. They really knew their stuff. I learned things I never even knew I needed to know. 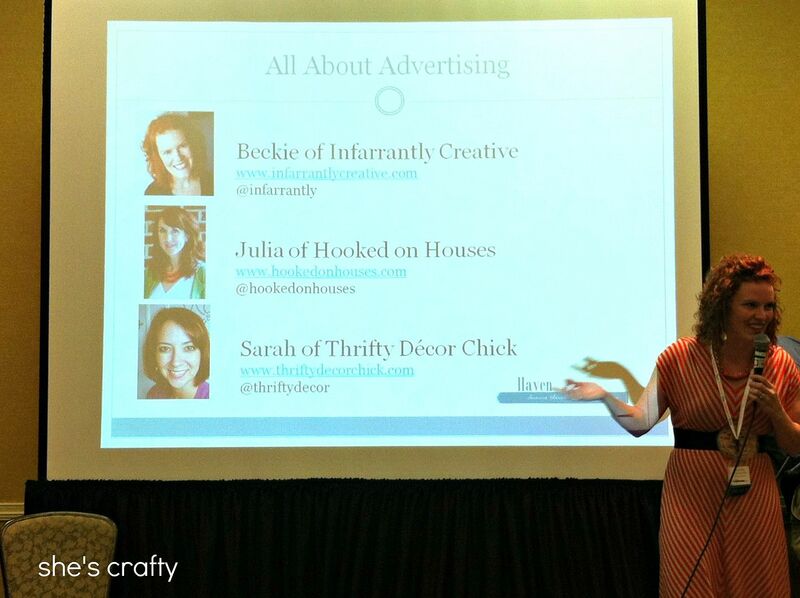 The last class I attended was an advertising class by Beckie, Julia and Sarah. Again, I learned things I never even knew I needed to know. 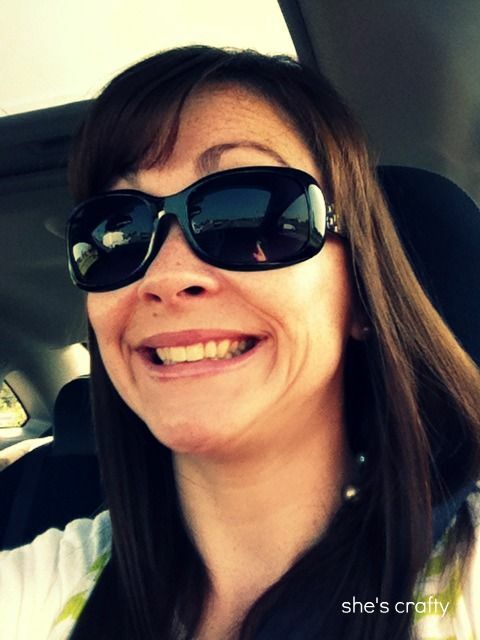 That Beckie is a fire cracker and knows what she's talking about! It was very informative. 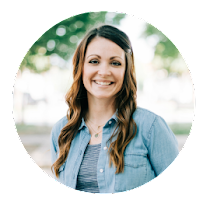 I seriously had no idea that some women are supporting their families with their blog as a small business. My eyes were opened. I'm not taking my blog to that level but I did learn a quite few things I hope to implement soon. I'm so happy to have gone to this conference and met so many amazing women. I was really nervous and way out of my comfort zone. Walking up to beautiful women, who run amazing blogs that I read all the time, to say hi, made me break out in a sweat! 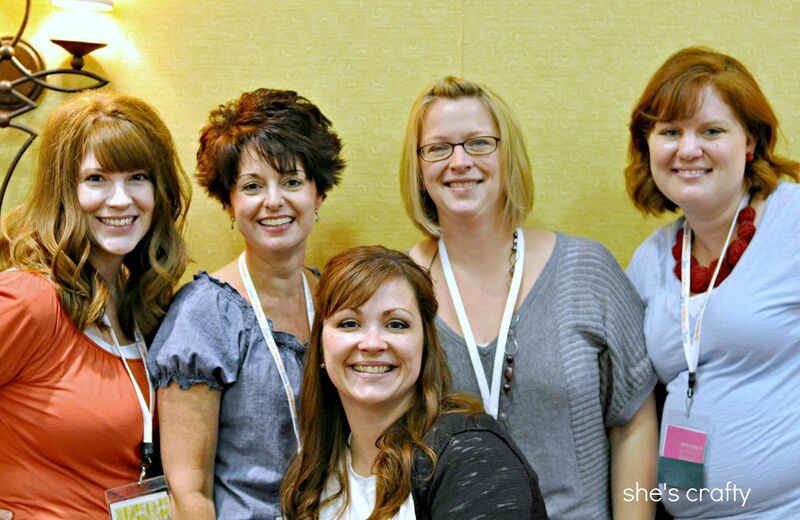 But I'm so glad I did because I had the opportunity to meet many of my blogging idols!! One of my new friends said that she would rather meet these women then Brad Pitt. I totally agree. 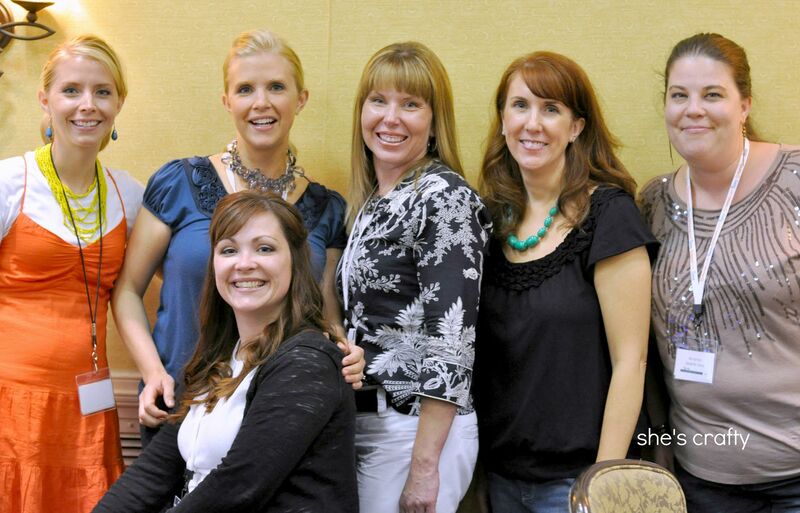 I'm pictured here with: Stacy, Chrissi, Natalie, and Tauni. Kristin, Melissa, Wendy, Julia and Amanda. The amount of swag we got was so amazing!! There were so many generous sponsors. I had to have an extra bag to take it all home in. Yay! Luckily I drove and didn't have to worry about shipping it or flying with it. I still have lots of business cards to go through and lots of blogs to visit. Not to mention, lots of fun to products to try out! Haven was a wonderful experience! I hope to go again!! 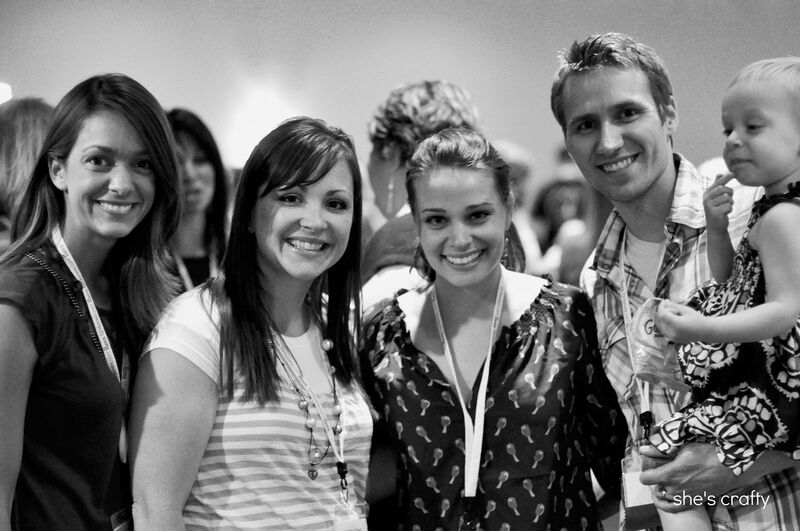 I have been so jealous that you were going to this, and now to see all my favorite bloggers that you got to meet...Dang I'm even more jealous! What a fun time! "I don't even look that good for church" - you are too funny! 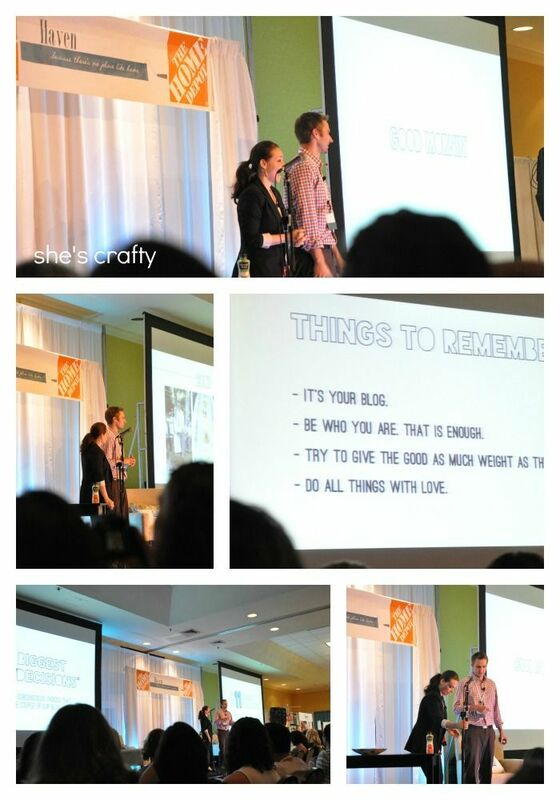 What a great recap for such an awesome event. I'm already counting down the days until next year! Way to go!! One of these days I will step out of my comfort zone & go to a blogging conference. I'm sure there is so much to learn :) You look darling by the way too. Crazy cool!!! Can't wait to see what you do with all the neat stuff you learned! Oh...and I vote towel holder! I am SO happy I got to meet you!!! It feels like I've known you for years...seriously! Glad you had such a great time. 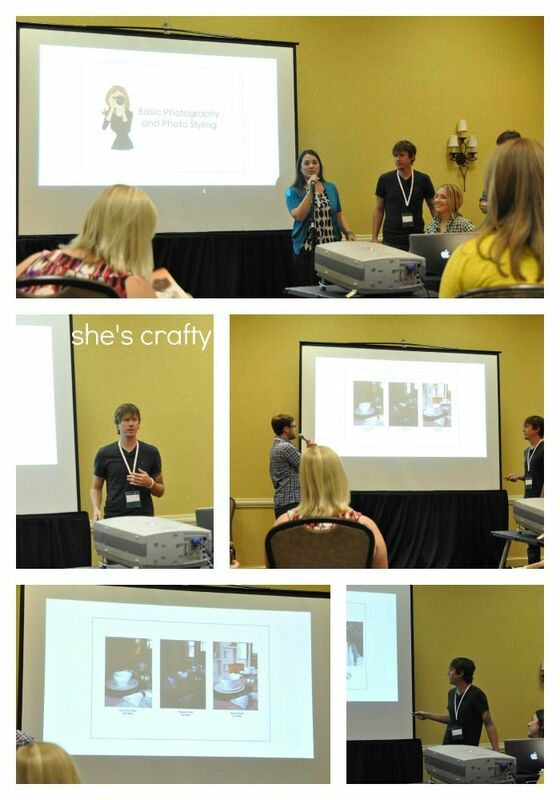 It really was such a wonderful conference! I'm already looking forward to next year! Your are DARLING! I wish we would have had a whole day to just go around and chat. But I am glad I got to meet you. I am swiping the picture of us for my blog (I will link back)Thanks! 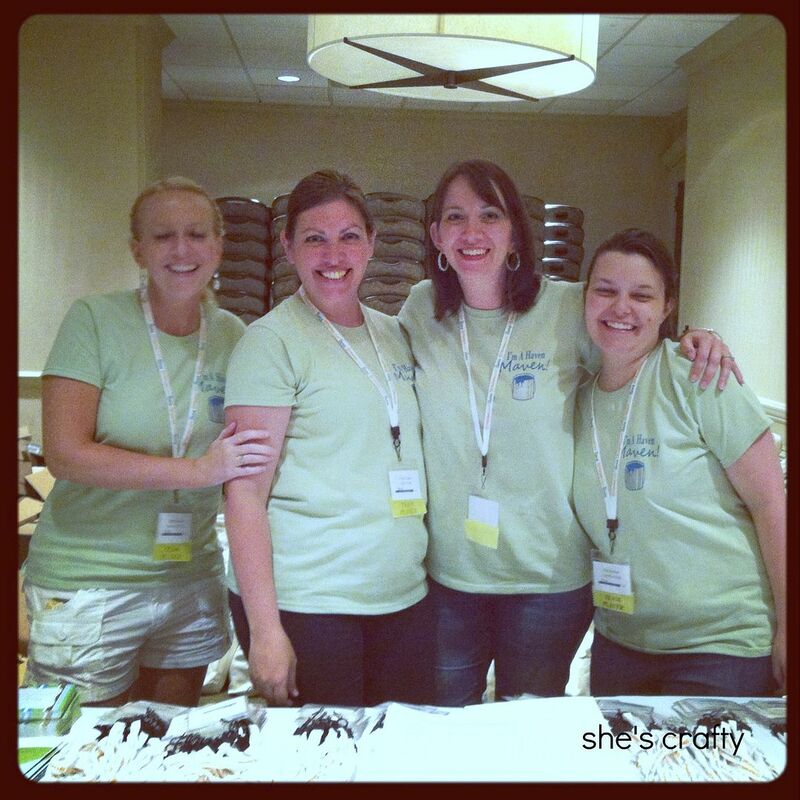 LOVE your recap post AND that you have a picture of us and YHL!!! I'm so excited you took that pic :) I'm really happy you were are across the street neighbor :) It was so nice to meet you!